In our previous post, we elaborated on how exponential technologies will disrupt one of the bulkiest industries of the world, the energy industry. If there is any other industry that is more bulky and untouched in terms of digital technologies, it is nothing but healthcare industry. Two cutting-edge Technologies, AI & blockchain have a huge potential to change the face of healthcare as we know it by improving the quality and reducing costs through improved efficiencies. Medical AI is already here! Siri & Alexa are wonderful but still very much first-generation AI products. While they are certainly clever and helpful, both of them are unable to go beyond a single-threaded conversation. In the medical field, artificial intelligence based on object recognition, image classification and deep learning is now being used to spot cancer on MRIs — with the same accuracy as a highly-trained radiologist. This medical artificial intelligence has already gone beyond our helpful assistants. While we may not realize it, many of us already use examples of medical artificial intelligence. If you have a Fitbit on your wrist which monitors your blood pressure, or if your blood sugar readings or blood pressure readings go directly to an app which warns you if they are out of range, then you are using medical artificial intelligence. Lots of people in healthcare industry believe that in the very near future, medical “wearables” will keep track of all your vital signs, health anomalies and health markers — all of which will be sent to the cloud for analysis. In other words, before you actually even feel sick, your vital signs could indicate you will be hit by the flu within the next twenty-four hours. Silicon Valley’s new breed of data entrepreneurs wouldn’t miss that disruption opportunity, right? Ever increasing healthcare startups’ goal is to engage consumers about understanding their health information. At a time when technology giants such as IBM and Google are expanding their reach into data mining by partnering with providers of electronic medical records (EMRs), some start-ups are using a different approach. These young companies are focusing on empowering individuals and are catching the attention of the insurance industry. One of the most successful Turkish entrepreneurs at the Valley, Eren Bali, is already preparing the groundwork for future AI & Blockchain applications with his new start up Carbon Health. Carbon Health is a modern, tech-enabled healthcare company transforming the primary care and urgent care experience. With an end-to-end digital platform that supports ongoing care management and virtual appointments, they ensure world-class care is always personal and ever in reach. Imagine in the foreseeable future, if they have millions of patients using their platform and pushing immense amount of medical data real time. That will change the personalized & predictive healthcare game. A study by the Centers for Medicare and Medicaid Services(CMS) national health spending is projected to grow at an average rate of 5.5 percent per year for 2017–26 and to reach $5.7 trillion by 2026. The Association of American Medical Collegespredicts that by 2025 there will be a shortage of between 40,800 and 104,900 doctors. By 2030, the study estimates a shortfall of between 7,300 and 43,100 primary care physicians. Non-primary care specialties are expected to experience a shortfall of between 33,500 and 61,800 physicians. Blockchain has found a home in the financial services, because blockchain is really good at transaction-based use cases. There are a number of very similar opportunities in the healthcare industry where B2B networks already exist – and that is where blockchain is slowly but steadily gaining traction using some shortcomings of current practices. For example, currently medical data is stored ‘locally’ — fragmented across various medical providers, many with different systems. 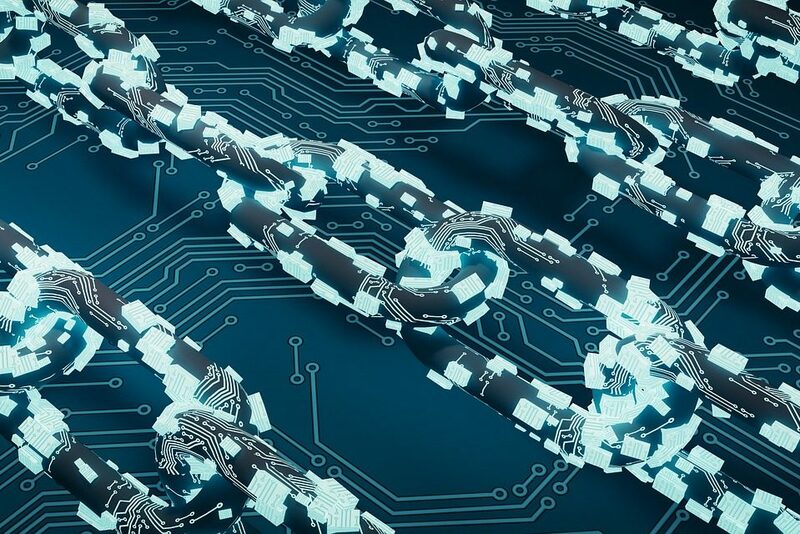 Blockchain technology has the ability of making electronic medical records more efficient and cryptographically secure by having it be made universally accessible by those in the network. Blockchain also has the potential to streamline existing networks that are simply too nebulous and complex to be effective in their current state. “In the case of provider identity management, for example, there is a lot of waste that is easy to identify but harder to eliminate using the traditional tools we have at our disposal,” said Houlding. Multiple industry efforts are underway that aim to use provider identity management as a high-value prove point for blockchain. Currently, obtaining proof of licensure or certification typically requires multiple phone calls, faxes, and paper-based verifications, all of which have to be repeated for each site of care where an individual is seeking authorization to practice. Delays in credentialing due can cost a hospital up to $7500 a day in missed revenue, says Hashed Health, an industry blockchain consortium. In his TED talk, complexity specialist Gunjan Bhardwaj tells that when diagnosed with a disease, it’s often overwhelming to sort through mountains of medical data to figure out what therapies are available, pinpoint where they’re offered and identify the best experts to help. He recognizes that mining this information may best be done using a system of artificial intelligence and blockchain to help people, within and outside the medical field, navigate and comprehend such “deep, dense and diverse” data — entering a new era where all research is searchable and shareable. In his article, Combining AI and Blockchain to Push Frontiers in Healthcare, David Campbell discusses that using a blockchain solution in an Electronic Health Record (EHR) system allows for the creation of transactions between entities such as patients and medical conditions. In this case, we can think of a diagnosis of a condition as a transaction between a patient and a known condition. Not only can we store this information as a distributed immutable transaction in a patient record, but also to record the relationship. 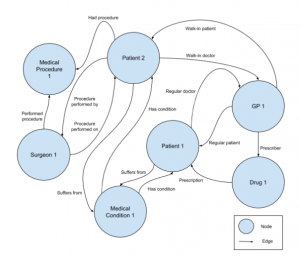 By updating a patient record using transactions between entities, a graph database can be constructed. A graph database is a way of storing unstructured data and the relationships amongst the data. If smart contracts in blockchain can describe relationships between participants of the contract, they can be used to build a graph database. The graph database can show latent variables, which is information hidden within the data. For example, smoking has an elevated probability of causing lung cancer. AI can mine data surrounding this relationship from a general graph database using various algorithms. The resulting graph database can be used as a model to predict diagnosis based on the medical history of a patient. Convergence is happening also in healthcare domain. This article only scratches the surface of how AI and blockchain can work together to revolutionize healthcare. Of course we need to take the ethical concerns in sharing & processing medical data of individuals into account. As in each case of exponential tech disruption, the obstacles are real, but the potential to transform our daily lives is huge.